I'm back with another group of mini-reviews for y'all. 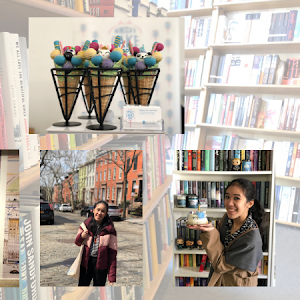 This time, we're tackling the July reads that I haven't reviewed yet on the blog. Check them out! 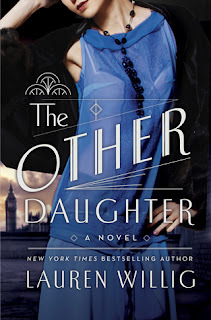 The Other Daughter is the first novel by Lauren Willig that I've ever read and, lamentably, it has left only a so-so impression. 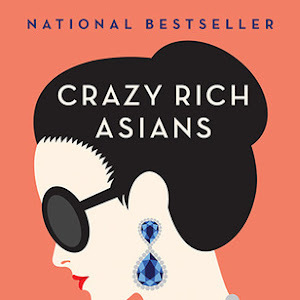 The novel gets off to slow start, one that nearly turned me off of it, and it didn't help that I didn't particularly care for Rachel, who came across as two-dimensional. Thankfully, the premise and writing were enough reason to keep on going until things become suitably intriguing. The novel's pay-off wound up making it worth my reading time, though it might not necessarily elicit the same reaction from other readers. Clearly, there's promise here, and while it didn't make me fall in love, it's made me curious about this author and willing to give her other works a shot. Love can be messy and complicated, exactly what one would expect and yet filled with the unexpected. Love, in English tackles the complexity of falling in love, painting the relationship between a married man and a young woman in many, many shades of gray. Vera is a free spirit, smart, vivacious and surprisingly vulnerable about her own life, relationships and future. Mateo is a married businessman, leading a life filled with responsibilities – to his career, to his daughter, to his wife. The two of them make a most unlikely pair, but man, Halle succeeded in writing them as a convincing couple. Their physical chemistry, incredible banter and supportive friendship is incredibly well-written. 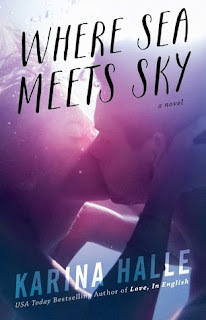 Even though it was heavy-handed on the drama, and even if I could never approve of cheating, I did wind up liking this story, and enjoying the time I spent getting to know Vera and Mateo. Vera and Mateo have survived the initial difficulties sparked by their unexpected romance. But considering their unconventional start and the amount of disapproval surrounding them, it is no surprise that they encounter more in Love, in Spanish. I appreciate the fresh perspective, since Mateo is Halle’s chosen narrator. 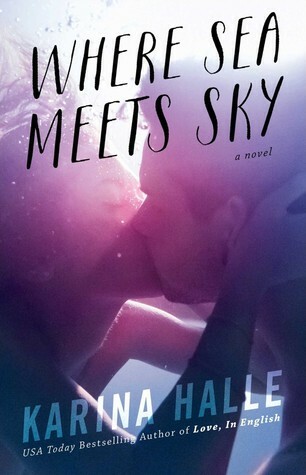 Halle tackles the aftermath of the first novel, painting a realistic portrait of the consequences this couple faces. There are so many elements – careers, friendships, family, and reputation – that come into play as this story progresses. Halle doesn’t let either Mateo or Vera off easily, forcing these two to face the reality, yet again, that love can be complicated, messy and passionate. While I didn’t love this one as much as its predecessor, it was solely because I didn’t want to read about this pair going through more hard times. Still, it’s a realistic continuation of their story, and I admire Halle for being realistic versus idealistic in portraying it. It is no easy feat to bring a real place to life in the pages of a novel, but Karina Halle demonstrates her skill at doing so easily by painting a vivid portrait of New Zealand in her novel Where Sea Meets Sky. I fell in love with the scenery and culture based solely on her portrayal, chomping at the bit to hop on the next flight to New Zealand just as soon as the gang kicked off their road trip in an old VW bus. 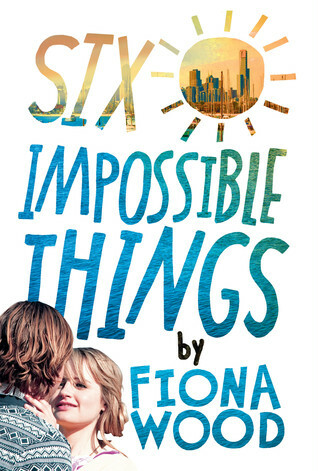 The setting is not the only impressive element; the characters were wonderful, particularly main characters Gemma and Josh. Gemma is, well, she’s difficult to like, mostly because the residual anger and pain leftover from her past trauma cause her to make questionable choices. While I understood how deeply rooted her issues were, I had to keep reminding myself of them in order to cut her some slack. Josh, on the other hand, is a character I’ve loved since I first met him in Love, In English, and he just continued to make me fall for him with every page. He’s a great guy, kind, considerate, companionable and smart, plus he’s an artist – what’s not to like? I really liked this story though, in spite of my reservations about Gemma. If you enjoy sweet romances with a touch of drama, well-drawn characters and foreign settings in your stories, I’d definitely recommend giving this one a shot. Two years ago, I read the incredibly adorable This is What Happy Looks Like. I was charmed by Ellie and Graham, and in spite of the unbelievable circumstances that brought them together, I enjoyed their story. 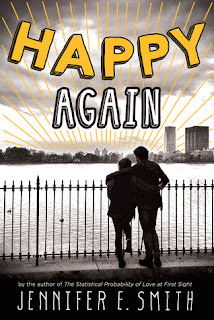 Flash forward to just this month when I finally got around to reading the follow-up novella Happy Again. 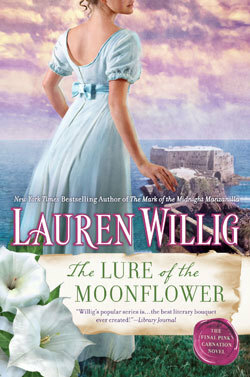 I'm pleased as punch to report that this novella is completely and utterly delightful! The portrait it paints of the relationship between Ellie and Graham is so utterly realistic; the way things play out on the night their paths cross once again is lovely with a touch of whimsy. I ended up finishing this part of their story with the biggest smile on my face, feeling utterly charmed and pleased with how Smith has wrapped things up for this duo. I have always found romantic comedies entertaining and endearing, movie fare that I find a comfort to immerse myself in. 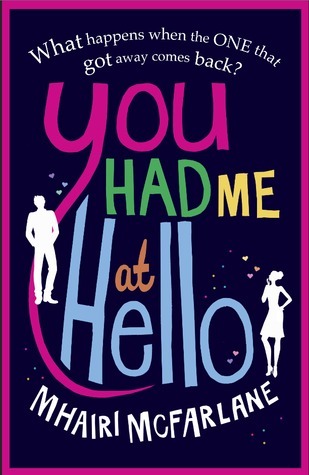 You Had Me at Hello, at its very core, feels very much a romantic comedy in novel form. Reeling from a break-up with a guy she was in a long-term relationship with (and was even engaged to), Rachel is relearning life as a single lady – until an old crush-slash-college friend named Ben reappears in her life, still cute, still smart… but now married to someone else. Talk about complicated situations! Toss in some career upsets and a few friendship squabbles, and it’s clear that Rachel’s life is absolutely topsy turvy. 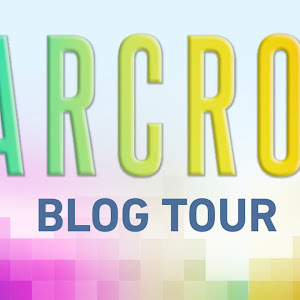 McFarlane invites readers to witness Rachel navigate through everything on her plate, whether she’s faring well or falling flat on her face (metaphorically speaking). I felt lukewarm about Ben at best, and very often found my attention wandering as I read, particularly in the earlier chapters of her story. But Rachel’s thoughts, combined with frank opinions from and moments with her hilarious, charming, lovely friends, more than made up for those deficiencies. Though it’s not a favorite, I did like McFarlane’s writing style and look forward to reading her other novels. Though the narration comes from the perspective of a male character on the younger side of young adult (Dan Cereill, aged fourteen), there’s something about Six Impossible Things that makes it really easy to relate to. Perhaps it has to do with how pleasantly awkward and self-conscious and likeable Dan happens to be. Or perhaps it is because his experiences feel authentic to a young person in his early teens, confusion and impulsiveness and emotions all mixed up. It is more likely a combination of both, as well as the addition of some great secondary characters who shape this portion of Dan’s life. I flew through the pages, eager to discover what sort of things Dan and company would find themselves up to with every chapter. 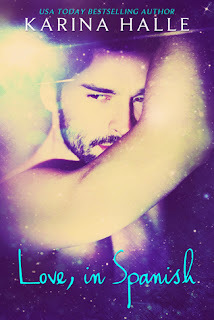 But more importantly, I wanted to see if things were going to change for Dan – shifting from his impossibly different, difficult circumstances into something more desirable and comfortable. Happily, Wood chronicles Dan’s life extremely well, ups and downs and in between really well, and I was happy to come along for the ride. Starting with the last book in a series isn't necessarily my favorite thing to do, but I hadn't read any of the previous Pink Carnation novels when I was offered the chance to read this one. I'm not too worried about having started at the end though, because The Lure of the Moonflower works just as well as a stand-alone! Yes, there are characters from previous stories that make an appearance and have their pasts alluded to. But instead of making me feel like I'd missed out, it made me curious about their stories and excited to know I could read about them in the other novels. 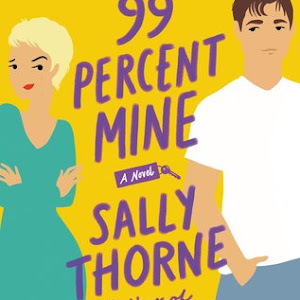 Anyway, this novel focuses on Jane and Jack - and it's an absolute delight to watch their relationship shift from acquaintances to something more. All that, of course, is happening against the backdrop of Portugal in tumult and side by side with a neat espionage/adventure angle. It's really fun to read about, even though I wasn't too fond of the fade-to-black romance scenes. Another thing I wasn't overly fond of? The modern-day story of Eloise and Colin that is told every so often. It's interesting, granted, but I just wanted more Jack and Jane! In the end, I really did wind up enjoying my first Pink Carnation novel experience... and I'm pretty curious about the others now too. 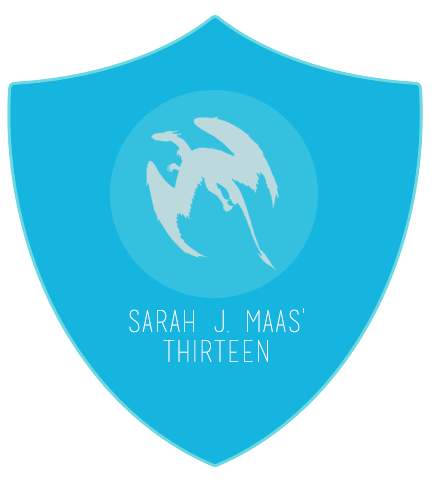 So you marathoned Karina Halle's books, huh? 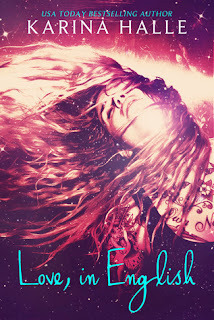 ;) I'm quite interested in reading Where Sea Meets Sky- I'd love to read about New Zealand! Also, I must get around to reading Happy Again soon! I'm disappointed to read that The Other Daughter was only so-so. I was somewhat intrigued after reading a sample, but now I think I'll wait for it to go down in price a bit before buying. Thanks for the heads up!